Ann Idstein has worked with Swiss designer Christophe Marchand for many years. 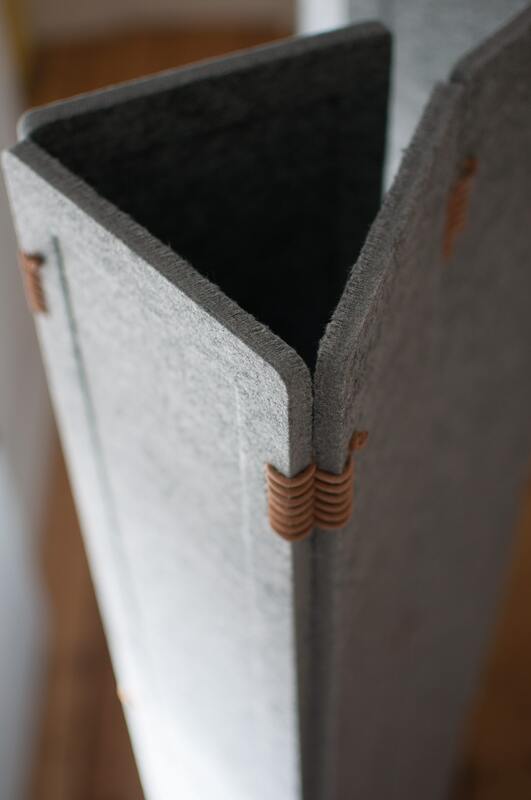 The latest creation in this cooperation is a floor standing room divider, called Paravent. 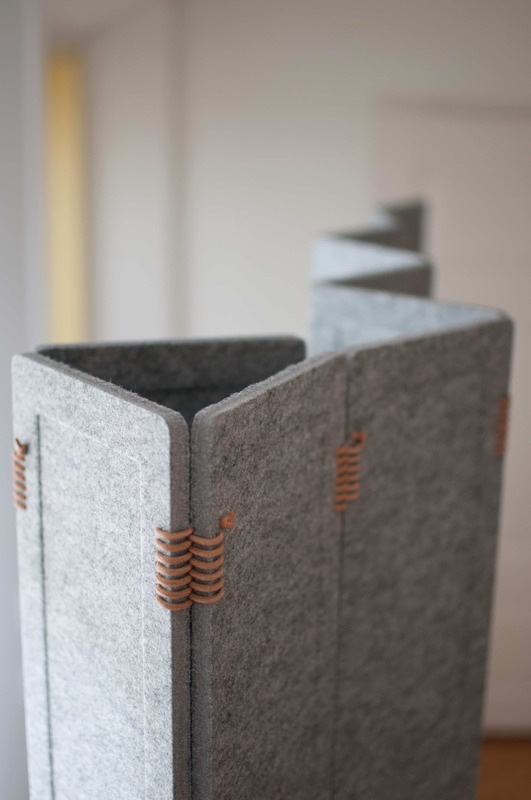 The product is made of individual slats made out of a 12mm thick felt material. 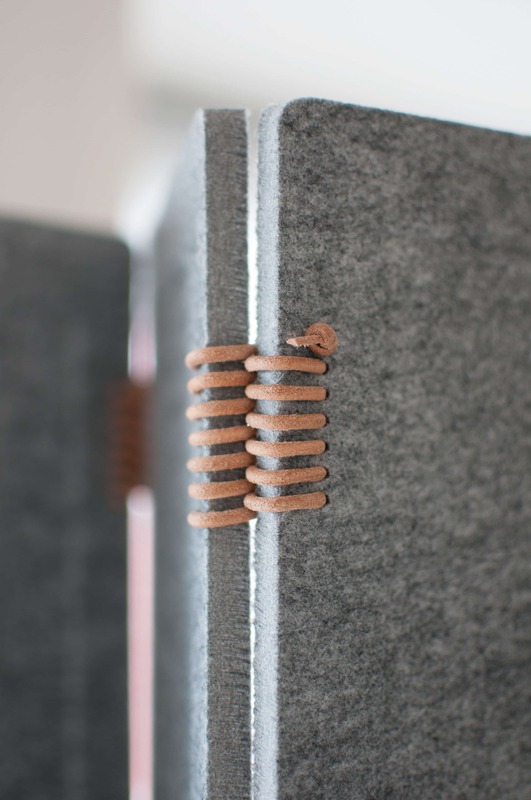 These slats are then connected by a 3mm leather cord. The cord thus works as connector and hinge at the same time, making the Paravent flexible both in length and in shape. It is available in 2 shades of grey and in 2 heights; 1300 and 1800 mm. 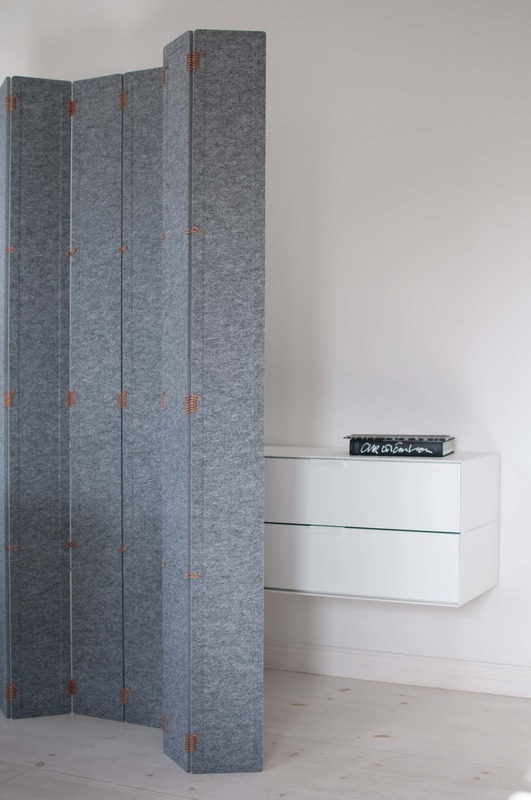 Inspired by urban life in small apartments, where rooms often have to fill several parallel purposes, the Paravent is designed to create and divide space when needed.